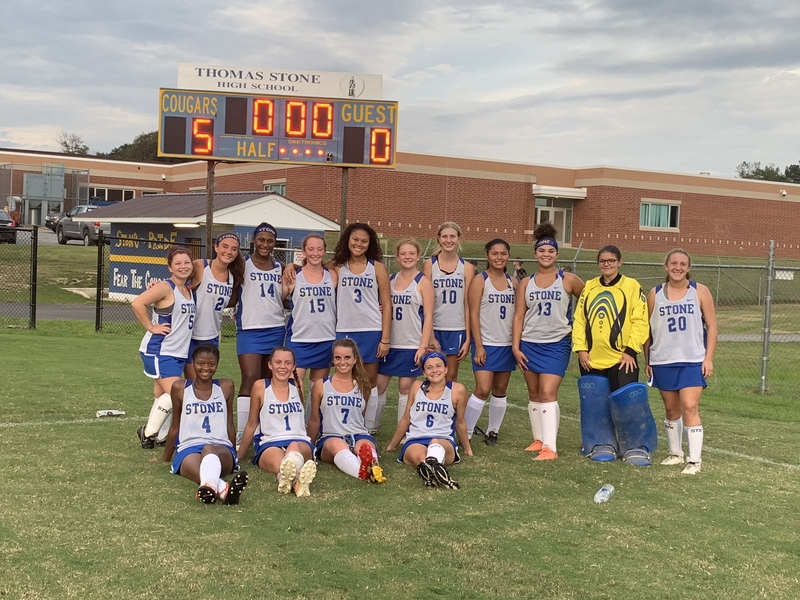 The Lady Cougars played an offensive game against the Ram’s on the TSHS Field Hockey Senior Night. Angela Rogers scored all 5 of the winning goals. Hallie Maloney had 2 assists and Celeste Goodell had one assist. Each and everyone of the Cougars played a skilled game against the Rams. Chloe Cooke had amazing breakaways down the right side of the field, and Ebony Lewis had mutiple shots on goal that nearly made it in. First year senior Kelsey Steckroth, came up big sending the ball down the right side of the field to the awaiting mids and forwards. Please come out and support the team as they take on Northern away at 4pm (tomorrow).